You can pay DEBIT card bills with Curve which are recharged to your linked Visa or Mastercard. Importantly, this recharge goes through as a purchase and so earns miles and points on the underlying card. You pay ZERO FX fees when using your Curve Card for overseas spending (Mon-Fri, a 0.5% loading applies at weekends). This effectively turns ANY Visa or Mastercard into a ‘no FX fees’ credit card. There is a £500 per month ‘no FX fees’ limit on the free Curve Blue card and a £15,000 annual limit on the £50 Curve Black card. As you can see, there is lots of interesting stuff here that can both save you money on FX fees and earn you miles and points too. Amex payments are currently operating via a Beta programme with a small number of Curve users. The terms and conditions are here so you can see how it will work. Amex functionality is a little different. You will have an e-wallet enabled in your Curve app. You need to pre-load this with funds from your linked American Express card. The T&Cs say that eventually the top-up will be automated, so that you don’t need to manually load funds – as soon as you make a £100 Curve purchase, for example, Curve will automatically top-up your e-wallet and authorise the transaction. Amex use is not free. Holders of the free Blue Curve card will pay 0.65% on all American Express transactions. Holders of the £50 Black Curve will get £1,000 of American Express payments for free each month, with a fee of 0.65% thereafter. All UK personal American Express cards are accepted as far as I can tell. This includes charge (Platinum), BA, SPG etc. This is a surprise as I understood that only the co-brand cards – which have had their fees capped under EU legislation – were going to participate. Is it worth paying 0.65% for American Express acceptance? Oddly, there is not a straight answer here. If you have Curve Black then, whilst you are spending your £1,000 of free Amex allowance per month, it is clearly a good deal. Beyond that, or for all Curve Blue customers, it is a bit different. Your American Express acceptance cost is therefore 0.65% PLUS whatever rewards you would have got for free linking your highest earning Visa or Mastercard instead. There are very few ‘super generous’ Visa or Mastercard products available however, so unless you have one of the new Virgin Atlantic cards or the IHG Rewards Club Premium Mastercard then paying for Amex acceptance via Curve is likely to be your best bet. Of course, if ‘manufacturing’ American Express spend via Curve Card makes it easier to hit the 2-4-1 voucher on your British Airways American Express card, or hit the sign-up bonus on a new Amex, or hit the 10000 points annual bonus for spending £15000 on American Express Preferred Rewards Gold, then the maths changes again. Using Amex via Curve is likely to be an excellent way of ensuring that you hit these targets. Most Head for Points readers WILL get a lot of benefit from linking their American Express card to Curve. I don’t know. The Beta programme launched last week for those who were invited. The rest of us will have to wait a while. 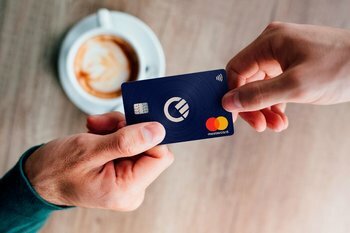 It is also worth noting that Curve is planning to replace the existing Black card with two new products, each of which will carry a monthly fee but will come with a far wider range of benefits than you receive now. I am not sure how existing Black cardholders will be migrated. There is certainly no harm in getting yourself the free Curve Blue card now. You can enjoy all of the benefits I outlined at the top of the page whilst waiting for Amex acceptance to roll out. You can apply here – my referral code is OQB4J if you want to receive the £5 ‘refer a friend’ bonus. OT: (ish) being a bit thick here – if I pay for flights in say dollars online with curve (from UK) do I pay a FX fee or charge? Not during the week, no – 0.5% at weekends. Is £50 fee one-off or annual? I got upgraded to Black ‘for free’ earlier this year in belated ‘compensation’ for them charging me hefty £35 for being an early adopter. Quite worried now if they are going to charge me £50 every year or not. Does anyone know? Agreed, seems like an £x per month charge might be Curve’s plan for the future. I’ll wait and see which specific benefits it offers; but dubious that it will be particuarly attractive! That will depend for me whether they increase the limit greatly. Lets hope they call it metal and black stays as it is. We should be left alone at least till the card expires. Not really interested in amex but i wanted the higher foreign spend and atm withdrawal. I hope Rob is right. At the end of the day it is just advice. Get the fairfx card to get £35 back to cover most of your curve fee. But to be honest rob knows nothing more than anyone else. If so, will it charge the credit card in GBP, assuming the purchase was in GBP? It asks you the currency of the card when you add it on the app. You will get closed down at those rates of cash withdrawals. Been there, done that. Good luck. You actually have to have had the cards and used them properly for a bit before they up the spending caps. Why bother with this, can you think of another way to spend ? OT: As an aside for Amex re: Shop Small, saw a previous comment about the complete lack of Shop Small options in Jersey on the map. Called them and after some digging and discussion with supervisor there aren’t any this year? I haven’t been here long – is that normal or atypical? Thanks in advance. Poor old Jersey (& Guernsey). Can be very hit & miss. Only got 1 pub on my list this year but it’s a good one. Should survive, though – 3 pints carefully chosen can get you not too far over £10. Decent deck of cards. That map is extremely unreliable. Previous year Jersey had about 50 retailers in the Shopp small with a good selection of fast food,nice restaurants,few hotels,etc. Contacted Amex last night,they have raised a tech ticket,this just can’t be right!! “Is it worth paying 0.65% for American Express acceptance? A bit behind the “curve” on this one Rob, they contacted me over 10 days ago about becoming an Amex Beta tester. It has been live for a week. I bowed out of the trial because it entails having to pre load the funds to your Curve and a lot of people were having issues with their Amex cards. The other problem being switching between your other cards (Visa / MasterCard), whilst on the beta trial it cant be done, so for me the overriding issue was normal functionality. Thank you and good luck to those who enrolled in the testing. After your comment yes it can be done. I’ve just been to local shop to test it out as I’m on the Amex beta trial with Curve and no problem switching from Amex to Hilton Visa and back again took my money on visa though Curve. If you’re on it, you know about it. If you’re not on it, you’re not on it. Not exactly any need to rush an article out on that basis. 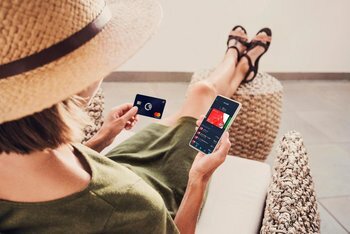 If you use a Curve card to pay for flights with Virgin Atlantic, and the underlying card is the Virgin Mastercard, will you still earn double miles? Thanks, I didn’t think so! Just few minutes after midnight I would like to confirm that £1000 free monthly AMEX top up for black Curve is capped for CALENDAR MONTH and not on 30 days rolling period as someone wrote here. This is much more better as we don’t need to remember any past dates to maximise £12000 free per year. Maybe my SPG credit card linking to Curve does have nothing to do with this but it looks like AMEX is more than happy to be back with Curve as yesterday I received another credit limit increase offer from 12.5k to 16.5k just after few months. It would be interesting to know if that is not the case though! Will the link to AMEX support the Amex business cards too? It will be good to be able to pay corporation tax, VAT through that. I have applied for Curve and have been put on a waiting list. Any idea how long it will take to get the card?